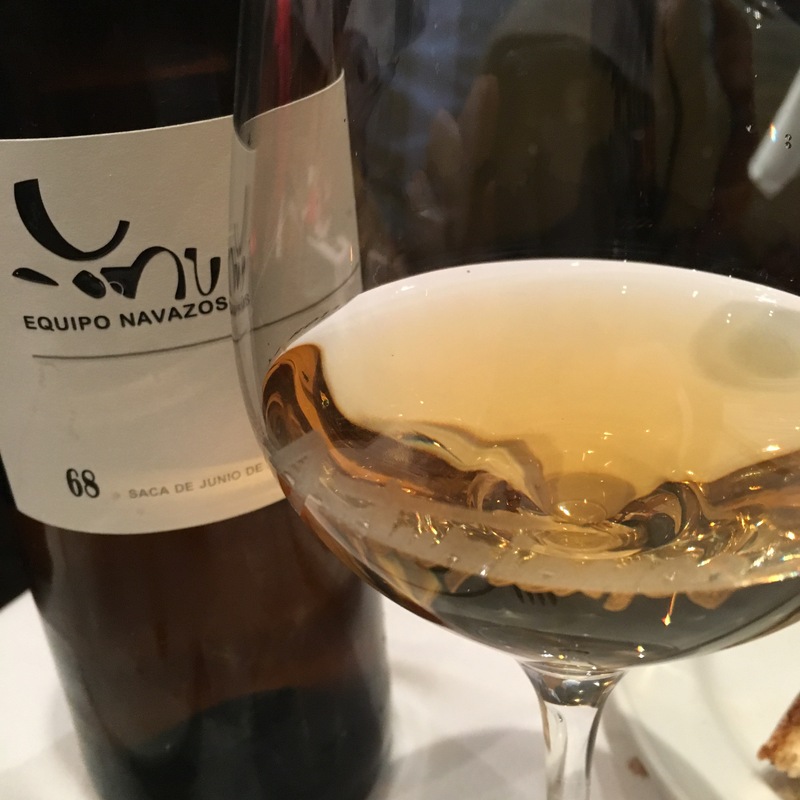 Lunch with an old friend in Asturianos – the new saca of the fantastic macharnudo alto fino by Equipo Navazos. They have produced no fewer than seven of these but I don’t remember a better edition than this. Absolutely spectacular, classy with a huge atomatic nose and flavour profile. A cider vat in a hay barn on the nose. Zingy to the point of stingy, with a lush feel on the palate and big, spicey roast almonds to roast apple flavours. The salinity is beautifully integrated and the finish is long and savoury. World class fino – a real belter.